It is not uncommon to see many different kinds of people spending time on the beautiful grounds of Sunset View Cemetery. Whether it’s an artist painting our panoramic views of the Golden Gate Bridge or the San Francisco Bay, or someone simply strolling and enjoying nature, all are welcome. 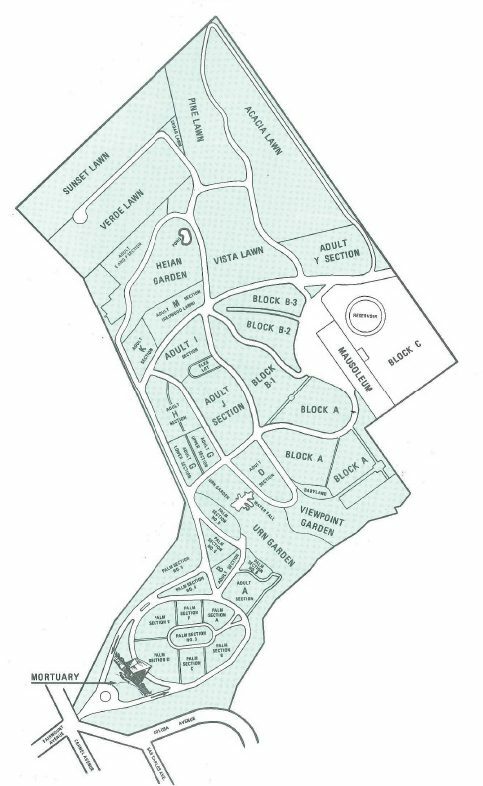 To enhance your experience while you are with us, we are happy to provide this cemetery map so you can download and print it prior to your visit. If you have any questions, or would also like to schedule a tour of our facility, please reach out to our team at (510) 525-5111.